Buying a home, regardless if it’s your first or fifth, is a large undertaking. Regal Home Inspections, LLC understands this and strives to perform a detail oriented inspection to help you buy with confidence. While we can’t make any guarantees as to the longevity of any system or component the inspection is designed to provide you with a minimum scope and uniform analysis. 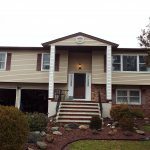 The inspection is performed as required by the State of New Jersey in compliance with the American Society of Home Inspector’s (ASHI) Standards of Practice. ASHI states that, Home inspections are to be performed to the Standards of Practice and are intended to provide the Client with information regarding the condition of the Systems and Components of the home inspected at the time of the home inspection. ASHI (and the State of New Jersey) requires that your inspector provide you with a written report. The report will include the inspector’s analysis of the following major systems in your new home* that are visible and readily accessible. Structure including foundation and framing. Exterior including siding, flashing and trim. Heating & Installed Air conditioning systems like Central AC (window AC units are not inspected). *Inspections vary for condominiums and may differ for townhomes. How does Regal Home Inspections set itself above others? One specific area that demonstrates our sincerity to your satisfaction is that Regal Home Inspections offers to meet with you , the client, after the report is completed to review the report, answer any questions and address any concerns. Too often a worn out inspector will email you the report and then it’s up to you to figure out if an issue is a concern or if a situation is normal. Particularly for first time buyers, if you don’t have an, “Uncle Harry” that can explain the implications of a matter, you may think the worst. I will invest in you as you are investing in the house. I climb on roofs whenever it is safe to do so. New Jersey requires home inspectors to have ONLY an 11 foot ladder. 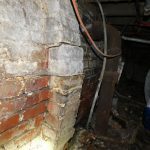 If your roof is 15 feet high, the inspector may just stand on the ground and look. This is OK by law but I have found numerous problems because I went on the roof. I carry a 22 foot ladder. If safety isn’t an issue and I have access to the roof, I will climb to the height that the ladder’s manufacturer allows (19 feet). I ENCOURAGE you to walk with me during the inspection. Ask questions, take notes. If I find something that is noteworthy, I will point it out and explain it to you so that when you see it in the report, you are very familiar with whatever the item is. I DELIVER the report usually within 24 hours of the inspection. The Radon report and Termite reports may come a little later but unless there are extenuating circumstances, I deliver my report, 9 times out of 10, the next day. My reports and south jersey home inspections are extremely comprehensive. The law allows check-list reports. The law allows minimally informative reports. I spend more time preparing your report than I usually do on site for the inspection. If you are in need of a home inspection because you are buying or selling, please call Regal Home Inspections, LLC. 908 902 2590.